Industrial fertilizers help feed billions of people every year, but they remain beyond the reach of many of the world’s poorest farmers. 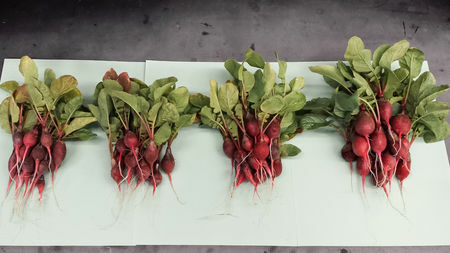 Now, researchers have engineered microbes that, when added to soil, make fertilizer on demand, producing plants that grow 1.5 times larger than crops not exposed to the bugs or other synthetic fertilizers. The advance, reported here this week at a meeting of the American Chemical Society, could help farmers in the poorest parts of the world increase their crop yields and combat chronic malnutrition.